Checking the cockpit floor shows my construction will fit in nicely but I noticed an extra set of mounting points and looked over the instructions to see what they were for but though they are shown nothing was shown to go there. the kit was originally meant to be powered by an electric motor and the battery ran through the cockpit... they give you the parts but no instructions... the pilot is cut off to fit the shelf that would form the cover for the battery.... too bad, he's very well sculpted. After cutting away part of the mounting for the kit floor I was pleased to find that my copy of the 21st C. floor fit in with less than about a millimeter space ! This may be less painful than I thought. Good work Vaughn. Man, you're off to a flyer! None that I'm aware of, but I confess to not having looked very hard. Hopefully there's something about somewhere. Guess what I found ?... good enough to reverse engineer I think. After cutting away the support box I fitted the floor again. I can't wait to get going on this with the Eduard set. Ah yes, I'd forgotten about the MDC Rufe conversion! 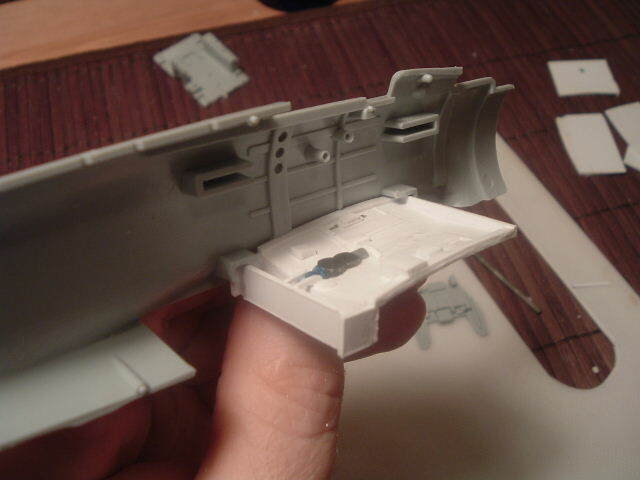 I used parts of the CMK Zero wheel bay set on my Revell Zero. 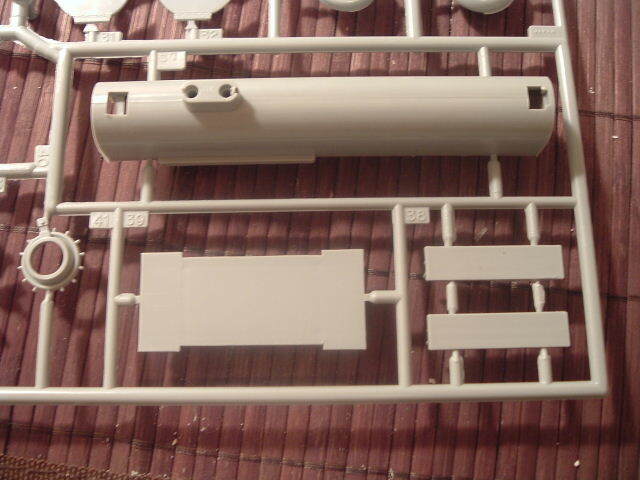 It's really meant for the Tamiya kit (which honestly doesn't need it), so I don't know how well it would fit into the Doyusha kit. 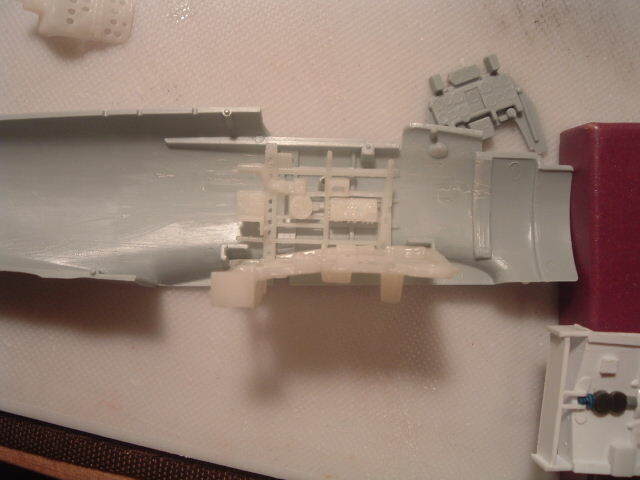 I had a heck of a time making it fit into the Revell kit! Nice detail though. 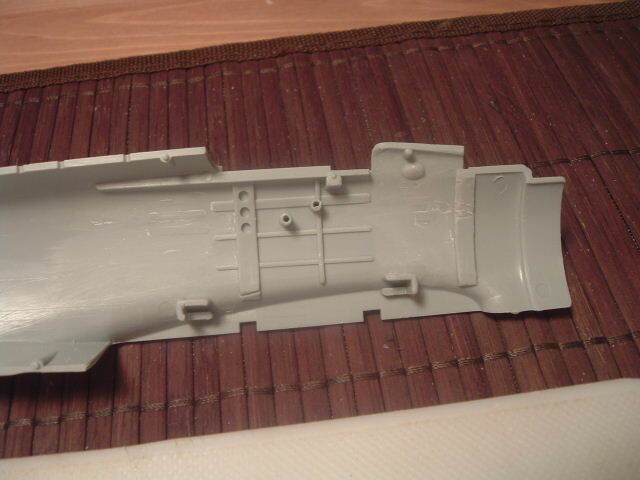 I'm going to scratch the wheel wells and as much of the conversion as I can. My only concession will be the Eduard set if I can get away with it. The clearance for the wheel wells is very tight. These early birds were all but hand made, indeed the first batch of A6M 1's were. In many ways it was like the Spitfire, if it got bent bad it was a lost cause, fit only for parts. I appreciate the info though. While I'm building this I'm also going to work at reverse designing the float and pontoons for the Rufe and see if I build that too. Looking great Vaughn! Very nice start! Looks like a very nice kit! I've checked all my references for the Zero and I can't find anything mentioning Sasais' aircraft number either. I'd say you'd be safe to go with anything in the V-120 range other than 127, and 127 as these were reportedly Sakais' mounts. I like your cockpit floor, it will make the pit more realistic. 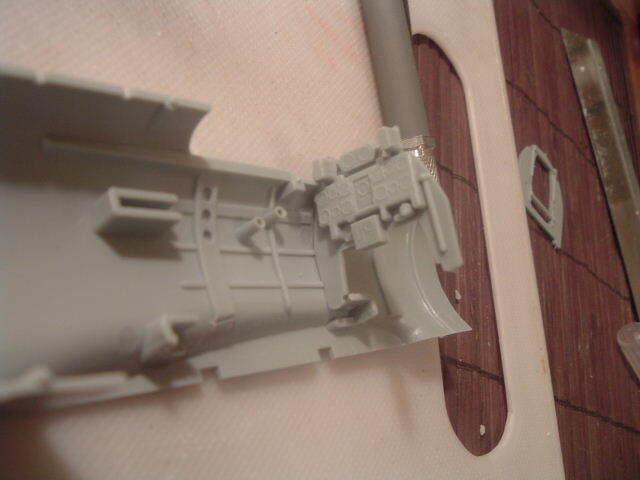 If you trim the instument panels off the original floor and mount then on the cockpit sides, they will work as well. Its those clunky consoles with the side panels down to the floor that make the Doyusha pit so crude. All the auxiliary instuments were on simple panels that projected out from the cockpit side frames with no sides to them. Maybe a triagular bracket at one or both ends but that was about it, so the wiring from the underside would also be visable. 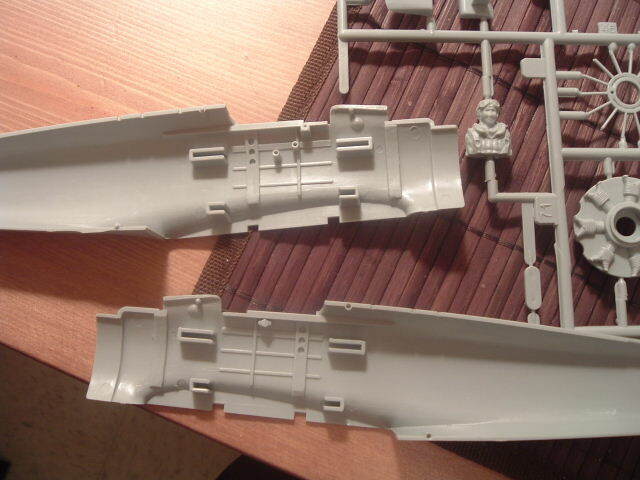 I've got to get my paws on another Swallow/Doyusha kit for the A6M3 cross kit. I'd come to the same conclusion, the one thing that is sure is that the tail codes for the unit at Rabaul/ lae were black. You're right about the way the plane was built and I'm going over the info I have while I'm waiting for the Eduard photo etch sets to arrive. 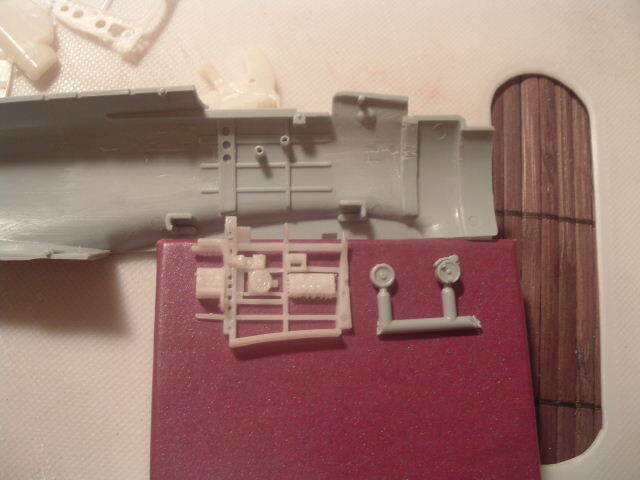 Your comment about the kit cockpit is very true, indeed with a bit of work the kit cockpit could be very nice. "a6m 3 cross" ?... what do you mean ? ..sounds interesting. I'm going to be getting more of these kits for future projects myself, it's the perfect kit for almost any conversion. Tonight has been research, check, fit, recheck. Thanks to Kev and Sabre I have more than enough info at my finger tips and while the 21st C. cockpit is a crude copy of the Tamyia kit It gives me something to work off of. 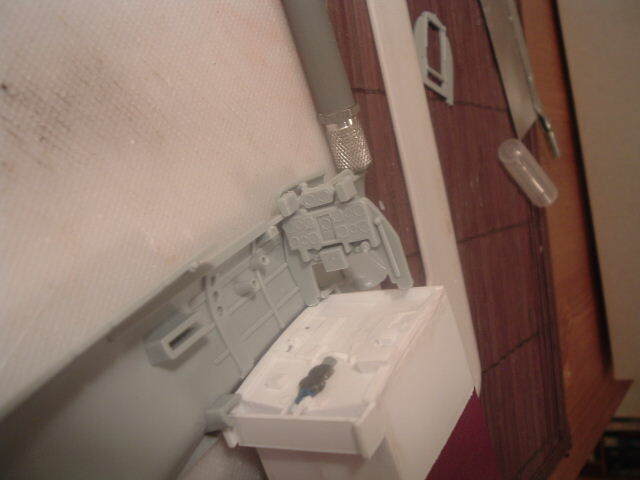 The slots for the battery powered cockpit floor were cut out and smoothed a bit. 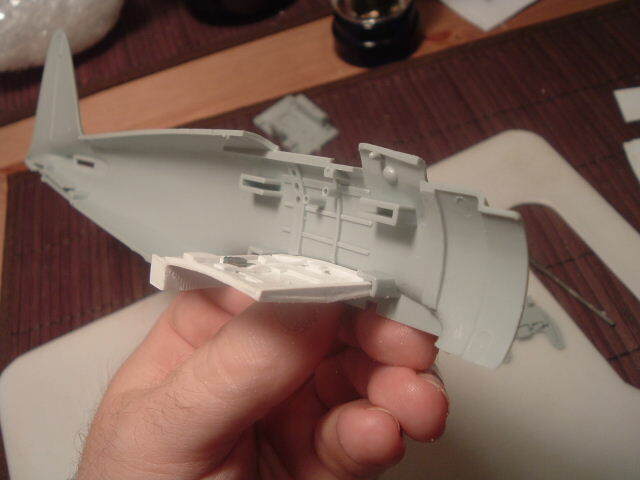 The only detail the kit gives are these two parts and the throttle quadrant is nothing like the real thing. You can see the difference with the 21st C. part. Setting the 21st C. part over the provided kit detail shows that unless one wants to throw away any interest in scale fidelity a lot of scratch building or aftermarket is needed.